Beijos Events had the idea for a Flora & Fauna shoot for some time now and was finally able to make it happen this Spring! 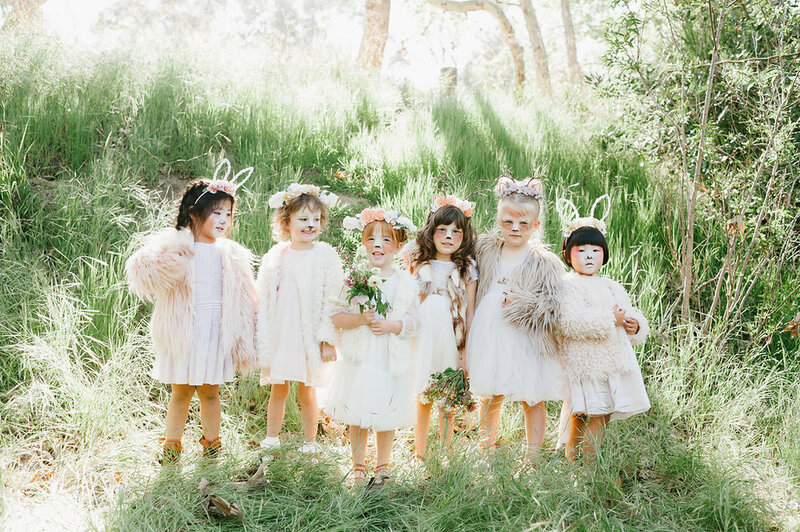 Their idea was to use the amazing headbands from their friend Carissa's company, The Daydream Republic and have little girls wear pretty dresses and their faces painted like animals. Next step, have them frolic in a meadow and create a pretty party for them! All of this was achieved and the gorgeous photos from Lynsdey Yeomans couldn't have captured the vision more perfectly. The girls had the best day getting their hair done by 1011 Makeup and their faces painted by the talented Sara of Couture Paintings. 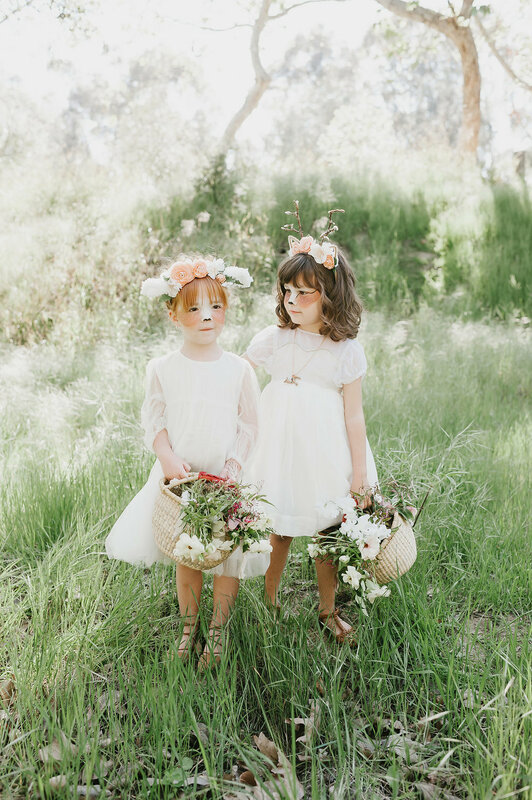 They wore dresses in soft pastels and whites by Nelly Stella from Rainey's Closet. They have the best selection of pretty for little girls! Carissa styled them to perfection with all of Daydream Republic's amazing accessories. It was so amazing to see the girls frolic in the tall green Spring grass and play with all of the pretty spring blooms from Rooted & Wild. True magic with that gorgeous light Lyndsey captured! The table also came together so beautifully. Beijos Events fell in love with the floral print plates from Meri Meri the minute she saw them and knew they were the perfect fit for this shoot. Courtney from Poppy Jack Shop outdid herself and also helped the vision come to life. She created wood cut outs of animals for each little guest along with cute stir sticks for the glassware. Place cards were done on different pastel colored vellum, pink fringed napkin from The Little Market were just the touch and I simply tied the flatware with pastel velvet ribbon. Rooted & Wild's stunning arrangement obviously made the table. She has a way of making whimsy and wild come together like no other. Lastly, the desserts by Sweet & Saucy Shop had everyone in awe. Hand painted floral cookies, along with little fawn cookies had the girls wide eyed. While the mamas were more in love with the cake covered in edible flowers! It was really the sweetest little shoot and we can't think of a better Spring party theme then this for a little girl! Scroll down to the bottom for all of the details.